Journalism has become so polarised. Right-wing or left-wing? 99% of the the debate happens in an extreme bubble on one side or the other. Eventually these extremes guide actual government policy and public consensus. Is it right that complicated problems can be dealt with by having two polar opposite arguments battle it out for supremacy? 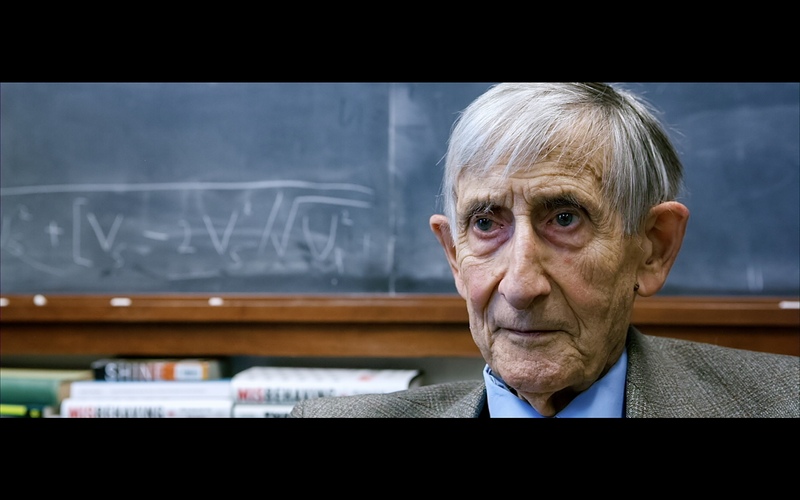 In this film, unconventional voices of reason tell a much more original story about climate change, featuring interviews with legendary American theoretical physicist Freeman Dyson in New York, and Piers Corbyn in the UK (Jeremy Corbyn’s brother). Marijn Poels: “On Christmas eve 2015 I concluded a pact with my brother in law, Volker Schmidt. “If you quit your job tomorrow I will pay your salary for one year and we’ll make a fully independent cinematic documentary”, I said to him. “Volker was a self-made cameraman for years, primed to shooting the perfect frame and to create the best cinematic look possible, with the least equipment possible. “I invested my savings to produce the film. We were convinced that a good distribution through Europe cinema’s will bring the investments back and with the profits we could produce our second film. Within this structure we would be able to step away from grants and become independent. Poels decided to make a film about the effects of globalization, climate change and energy policies in relation to agriculture. The documentary tells the story of German farmers who changed their inefficient food production into the production of growing ‘energy’ crops. Marijn: “No propaganda or truth-claiming insights but leaving enough question marks for the viewer to stimulate independent thinking. Or how British philosopher Bertrand Russel wrote ‘What is wanted is not the will to believe but the will to find out, which is the exact opposite’. Marijn: “Filming the agricultural part was a real pleasure to do. We didn’t work with artificial light but just waited for the perfect moment to start shooting. We believe it made the story more pure and real. The loneliness of the villagers and the visible scarves of globalization and urbanization made these places almost like ghost towns. “We have developed our lives for the good but left these places behind. Is it right or wrong? I simply don’t know. The scary part is that we are so developed, that especially youngsters have no sense of where food is actually coming from. 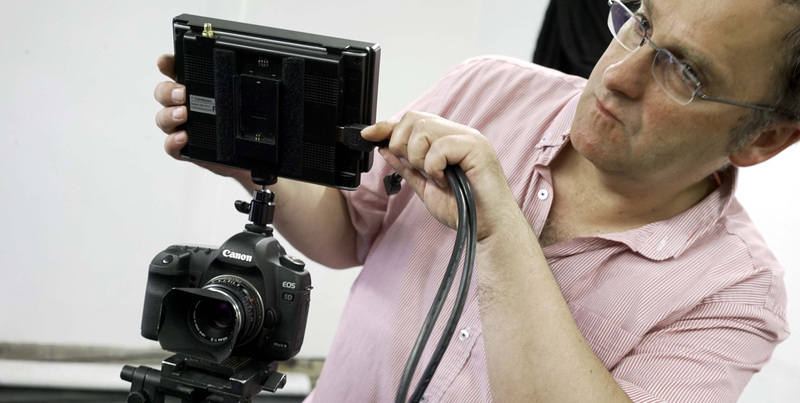 Volker Schmidt: “All shoots we did with the Canon 5D Mark II with Magic Lantern raw hack. This 9 years old camera has so much to offer to create a real cinematic image. 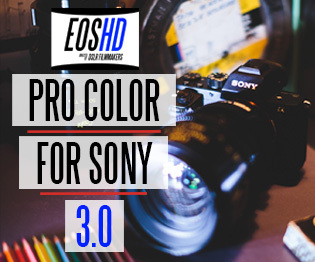 “I used the Canon 24-70/f2,8 and the stabilized 24-70/f4 for handheld shots. Also old Minolta MD and MC lenses: 35mm, 45mm, 50mm. There are no particular adapters for the Minolta lenses for Canon EOS because of the shorter registry distance of 43.5mm. So I converted the lenses by myself. The changed focal planar while using the VAF-5D2 optical low pass filter, makes the conversion easier. 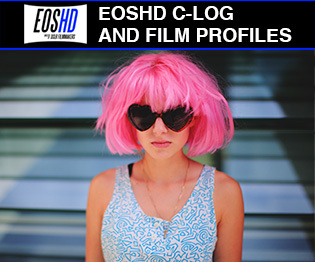 “I became aware of both Magic Lantern raw video and the VAF 5D2-anti-aliasing filter through EOSHD. 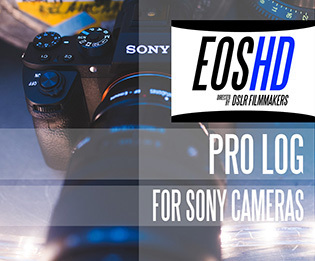 Meanwhile, I can say that Andrew has become a friend and I am very grateful for the hints that EOSHD gives me – and in general filmmakers with little money. This film would be different without that! “Our second camera was a Blackmagic Pocket Camera with the Metabones Speed Booster adapter. Since we had only the 5D Mark II (as well as the Sony a7S, which I only want to use in exceptions/emergencies) we were lucky that Andrew lent us equipment like the Pocket, the Speedbooster and Lenses to help us! “We mainly used the pocket for long static interviews were we planned to switch perspectives. 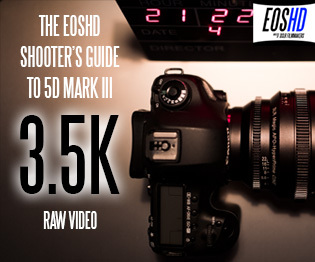 With the 5D Mark II & KomputerBay 64GB cards, I have to stop after 10min to prevent errors. 15min fit on a card. 4GB per minute. 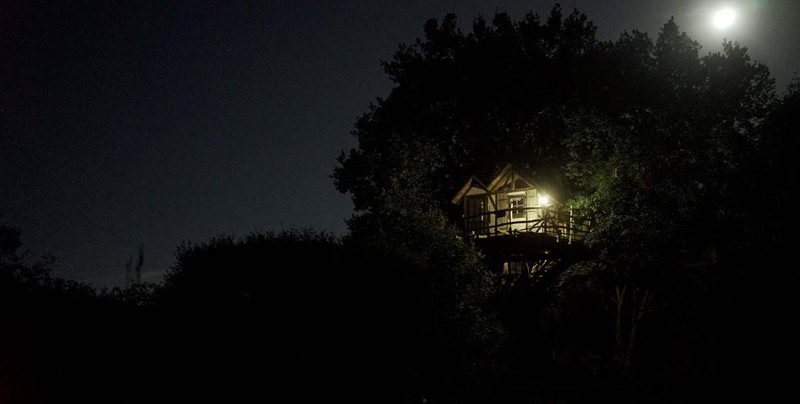 The Pocket pictures and the 5D images harmonized well with each other. 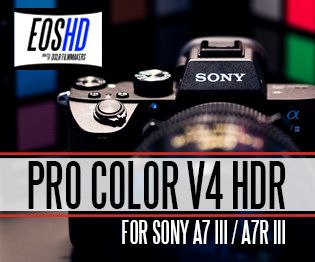 Just a few pictures of the a7S were difficult to combine. 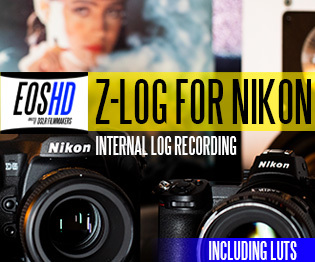 “We did the audio with a H4 Zoom with the possibility of attaching two RØDE microphones to it. When we had spontaneous conversations with farmers Marijn was holding the H4 Zoom in his hand were it wasn’t visible in the frame. Marijn: “Also included in the film was the introduction of different climate beliefs where I interviewed climate skeptics as well. We all know there is consensus in climate science but a good scientist understand that the truth is not listening to consensus but the consensus should listen to the truth! However, The media is letting us believe that the science is settled. No more debate! I believe in the importance of having different opinions to stay critical and focused toward important system shifts. Above all the climate debate is so politicized and dogmatized that the dialog is gone. “Those who think different are deuced and mocked down by the public opinion. It’s the consensus culture where we live in which inhibits civilization and free thinkers. I do not blame the people but the mainstream system, where ruling media and film platforms are forcing political propaganda down our throat. I think there lies our duty. Exposing the suffocating debate and giving oxygen to it by giving the minorities a worthy voice. When people are better informed then democracy can rule! A misinformed democracy can even be more dangerous than dictatorship. Marijn: “What I didn’t estimated correctly was how much of a religion the climate hysteria has become. Hence the dogma distributors didn’t dare to promote our film into cinema. Even mainstream journalists and film critics refused to write a single line about the film. They called it “The responsibility of the media in a time climate change is under pressure”. In my opinion it’s more or less censorship from the current media and film platforms who are too politically driven. I realized; Fighting against the mainstream doesn’t make any sense so we had to walk around it. “We switched to Plan B and arranged a cinema-tour by ourselves. We wrote over 1500 program-cinema’s and filmtheaters. Lastly over 100 cinema’s in Germany, the Netherlands, Belgium and Untited Kingdom screened our film. “After three months touring we decided to launch the film worldwide in four languages on vimeo online-demand. A great tool for us to escape the power and censorship of mainstream media. “I feel we are living in a period where we will face big system shifts in power. Politically, economically and in terms of media. The old mainstream media structures are slowly cracking down. New media is on the rise and giving the independent filmmaker excellent ways in breaking through the barriers of power. “We should embrace the shift much more and push ourselves to the limits of our talents. This is the perfect time to go off the beaten track and leave the mainstream herd. Odds are on our side! It’s not about courage or taking risks but much more about keeping integrity in storytelling and avoiding disappointment at the moment the herd will drown with the ship and you’re still there! By renting it, you will support us in making our sequel!